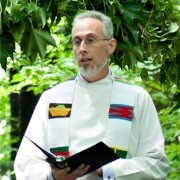 With 26 years experience in pastoral ministry, in Cape Breton, New Brunswick and Toronto, Brian brings a passion for worship, music and preaching, mission, justice and service, and humor and joyful fellowship to his full-time call within the life of the church Brian is available by appointment for counseling and offers those in need a pastoral heart and a listening ear. Hope, comfort and strength can be found in sharing our burdens with a trusted pastor, and in mutual prayer. 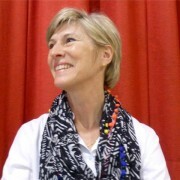 As Chair of Council, (an elected volunteer position), Pat is the lay leader of our congregation, and presides over the meetings of the Bloordale United Church Council as well as taking an active interest in all of the work of our congregation. Pat was introduced to Bloordale United Church several years ago by our pastoral care minister Rev. 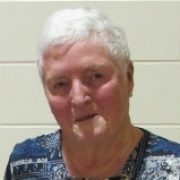 Nelsona Dundas, who was Zone Chaplain in the Royal Canadian Legion at the time that Pat became Zone Commander of Zone D-1 . A Montrealer by birth and schooling, Pat worked in the insurance industry, including some years in Calgary. 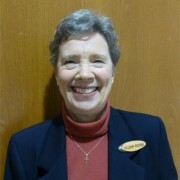 In the last several years at Bloordale, Pat has been and continues to be Co-Chair of the Congregational Life Committee and Co-Chair of the Ministry and Personnel Committee. 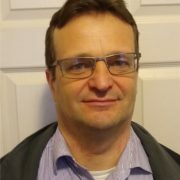 In addition, Pat is on the ushering team, is a member of the Revitalization Task Group and its sub-group Property Options, and the Bloordale 60th Anniversary Committee. Also, she has recently been Co-Chair of the Pancake Supper and of the first Bloordale UC Tenants’ Pot Luck Dinner. Paul began his music studies in his home town of Warsaw, Poland at the Elsner Conservatory of Music focusing on Piano and Organ studies. It was here that he developed a deep appreciation for classical and choral repertoire especially from the Baroque period. He continued his music education in Canada at the University of Toronto completing his organ studies under the tutelage of Prof. John Tuttle and received his Bachelor of Music. During his university years, he also studied choral directing with Elmer Iseler. He has also performed recitals throughout the GTA and abroad, specifically in Finland for the 2002 Kotka International Organ Competition where he was a Finalist. Paul has worked with choirs of different Christian denominations as well as independent choirs whose repertoires ranged from gospel to jazz, contemporary and broadway. Nelsona is a long-term member of Bloordale United Church, who exercises her exceptional caring and listening skills in her capacity as our part-time Pastoral Care Minister, for those in in need of hope or healing. She also offers occasional worship leadership in tandem with Brian. Nelsona is also keen amateur photographer, with an interest in the use of photography as a medium for religious expression, which she has found to be helpful in her ministry to people with severe disabilities. 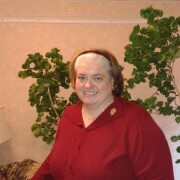 Halyna is our office manager and is the person you will usually reach when you call our Church Office telephone number. She will cheerfully help to put you in touch with our Church Council members or our Church Staff , and will deal with any general enquiries that you may have about Bloordale. Lisa is a long-time dedicated member of our congregation and has , for some years now, also been our part-time Children’s Program Minister. In this capacity she recruits and trains teachers, keeps in touch with parents, and coordinates all of our programming for children at the Church. At our Sunday worship services, she is usually the one who delivers the “Children’s Story Time” segment of the service. This typically consists of a heartwarming story or poem, related to the scripture reading of the day, that is much appreciated by young and old alike. 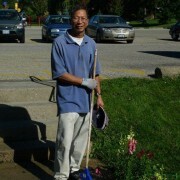 Victor is our Church Custodian, and reports to the Chair of our Property Committee. Victor diligently and efficiently takes care of the many day to day repair and maintenance needs of our facilities, which are used not only by our congregation but also by our various tenant groups. Victor deals with a great many of our repair and maintenance-related tasks in person, and brings major items needing outside help to the attention of the Property Committee.